FREE book - Time is running out! Time is running out to register to win this month's free book. June's book is The Little Pot by Dawn Stephens. 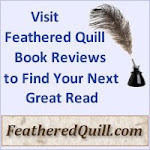 You can read the review at Feathered Quill Book Reviews and then follow the link for our contest. There's no obligation. Don't miss the chance to win a wonderful book to inspire young readers. Today we're talking to Christine Sunderland, author of Offerings. FQ: In this book, you try to make sense of the role of suffering in our world. What lessons about how physical suffering allies with spiritual belief do you hope readers will take away from Offerings? I believe there are many connections between physical suffering and spiritual belief. Some would include 1) a belief that suffering is not meaningless, that good can come out of it; 2) a belief that suffering is caused by man and not God; 3) a willingness to offer one's suffering to God. These hopeful spiritual states, or beliefs, hinder depression and encourage joy, something science has corroborated. FQ: Can you tell us more about the concept of “New Israel”? The phrase "New Israel" has been used to describe the Christian faith as an extension of the Jewish faith, as opposed to Christianity being a new faith "invented" or "founded" by Christ. As the New Israel, Christianity is the fulfillment of the Jewish prophecies that a messiah would come to save mankind. Christ, of course, was Jewish and honored the prophets, the law, and the commandments, making frequent references to this heritage. FQ: At one point in Offerings, two characters have an interesting debate about Catholic-run nations (like Italy) and Protestant-run nations (as you define the United States.) The debate is never resolved however. Can you talk more about this debate? Do you plan on re-visiting this topic? For the most part, I was having a little fun in that scene, playing around with mere speculation. The argument has been made over time that the Protestant work ethic supported development and achievement, as opposed to a Catholic acceptance of the status quo, but like all such generalizations, there are many exceptions. I do return to this idea a bit in Inheritance for it deals with the Protestant influences in England and by extension, in the United States. The Calvinist doctrines of Predestination and the Elect had a great influence on Western culture, as well as the Puritan taboos on recreation and pleasure. FQ: Do you feel ready to let go of Madeleine and Jack after you finish the trilogy? Or might readers get to catch up again with them? Who knows? It will be difficult – they may reappear at some point! But for now a fourth novel is waiting in line, set in Hawaii, in which Madeleine and Jack have no part to play.Hana-lani is a faster paced novel about a young woman's search for meaning in today's culture of instant gratification. It's about family, history, and tradition, but not an "inspirational" novel per se. FQ: Can you give us a preview of the last in this trilogy? Inheritance is about Vietnamese-American Victoria Nguyen, seventeen, who flees to England with a secret. Madeleine and Jack, in London to found a children's home, meet Victoria in nearby Aylesbury on Ash Wednesday and befriend her. Brother Cristoforo (whom readers met in Pilgrimage), a black Franciscan, joins them, and as the four travel through England in the mists of Lent to Easter Day, they face their own challenges and choices. Inheritance is about the history of Christianity in England, the nature of belief, and the action of God in history. It's also about love, freedom, and the mystery of time. To learn more about Offerings please visit our website and read the review at: Feathered Quill Book Reviews. Win a Book - Time is Running Out! The June book contest is quickly coming to a close. This month we are giving away a copy of The Little Pot by Dawn Stephens. 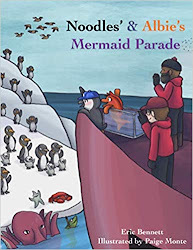 This is an adorable book that "...teaches young children about the value of patience and the loving omniscience of their Creator." Read the interview with the author below or check out the review on our site at:Feathered Quill Book Reviews. Entering the contest is quick and easy. Just visit our site, follow the link to the "Free Book" page, enter your name/email and presto, you're entered. While on our site, please check out all the great books we've reviewed - there's sure to be a book that will interest you. Today we're sitting down to talk with Cliff Ball, author of Don't Mess With Earth. FQ: You have previously written a short novella. What made you decide to tackle a full-length novel? How does writing a novel differ from working on a novella? My novella, Out of Time, wasn't meant to be a novella when I started writing it, but, I ended up with major writer's block when I tried writing it that I pretty much got frustrated with it, since I spent years trying to write it. So, last year, I decided to use Iuniverse to publish it, get it out of the way, even though it wasn't exactly polished, and work on something fresh and new. Don't Mess With Earth is at a little over 50,000 words and I'm trying to work my way to the official length of other mainstream novels that have more than 80,000 words. It only took me about 8 months to write Don't Mess With Earth, but, it took me over 10 years to try to write Out of Time. My opinion on the differences between the novel and novella, as of right now, I'd say a novella was more difficult for me to write. FQ: Both books have science fiction themes. Why is this the genre of choice for you? I enjoy reading and watching science fiction, and I find I am more comfortable writing science fiction, so that's the genre I've chosen. I do write other forms of fiction though, and I'm currently working on a novel that isn't science fiction. FQ: Growing up, were you strongly influenced by shows like Star Trek? Do you feel that science fiction continues to play an important role influencing today's society? When I turned 13 was around the time that Star Trek: The Next Generation came on the air. It was new and exciting, and the whole genre really caught my interest; while at around the same period of time, Quantum Leap showed up on TV and that got me interested in time travel. I watched shows or movies back then like Back to the Future, The Explorers, Flight of the Navigator, Out of this World, Knight Rider, ALF, V, and some of the others from the late '70's and early part of the '80's in re-runs, so they all strongly influenced my interest in science fiction. Do I think that science fiction plays a role in today's society? Yes, I do. I keep reading that some inventors and scientists were influenced by Star Trek back in the 1960's and they wanted to invent some of that technology that was in the show. The military, from what I've read, is working on cloaking fields and transporters, along with exoskeletons like the ones in Alien. Who knows, sometime in the near future, we may have a warp drive. FQ: The first several chapters of Don't Mess With Earth deal with historical figures who were actually Terrans. How did you decide who would be Terran vs. those who were simply influenced by Terran actions. King Arthur and Merlin seemed like natural choices to me to be aliens, and I guess the writers of Stargate SG-1 thought so too! ha ha! Anyway, I chose Galileo because it made sense to have a scientist like him with the oppression he faced, to be an alien and trying to bring technology to a society that was not all that into science. I chose Amelia Earhart to be an alien, but, she replaces the real Amelia Earhart who dies in my novel during the 1918 Spanish Influenza outbreak, so the Terran who replaces her picks up where Amelia leaves off. The Terran authorities let Amelia play her little flying game until 1937, when they pick her up and she disappears. Since the real Amelia Earhart disappeared, I thought it would be cool to make her not from this Earth, since there were a lot of questions on what had happened to her. FQ: Ostoro, the captive Ragnor, spends a significant time as a captive on Earth. Do you see his character as developing or changing during his captivity? Ostoro remained mostly belligerent during the whole 50 to 60 years he was on Earth, but, he softened his attitudes over time until the very end when he realized why the humans had kept him alive for the entire time. When he realized he was going to be disposed of, he reverted back to form and condemned the humans as being backward and way too primitive to be an advanced species using space travel. FQ: There are numerous references throughout your book to old science fiction movies. For instance, when deciding on the name for the new starship, an airman asks if it will be named Enterprise. Names of other famous starships from old movies are also mentioned. There is a character named Chief of Staff Frank Pike (perhaps from Christopher Pike of Star Trek fame?). Is this your way of paying homage to these science fiction movies? Actually, I hadn't thought of Christopher Pike from Star Trek, it was a reference to Zebulon Pike, the namer of Pike's Peak. As for most of the names of nearly everyone on Earth in the later part of the novel, most of them have the last names of a historical figure in American history. As for the starship names, they all pay homage to Star Trek, Star Wars, Stargate SG-1, and Battlestar Galactica, but I humorously suggest in the novel that the new starship being named for any of those ships in those series would be considered copyright infringement and the government could get sued. I had Ostoro watch the originalThe Day the Earth Stood Still because I thought it was kind of funny having an invading alien watch a movie about aliens coming to Earth being greeted by humans who shoot first and ask questions later. There are subtle references to science fiction movies throughout the novel, you just have to really pay attention, but one obvious one has to do with Star Wars and Excalibur, King Arthurs' sword. To learn more about Don't Mess With Earth, please read the review at Feathered Quill Book Reviews. Today we're excited to chat with Christine Sunderland, author of Pilgrimage. FQ: What type of reader did you have in mind when you wrote Pilgrimage? I believe Pilgrimage would appeal to travelers who enjoy journeys both of body and soul, those who seek to experience and understand our world, as well as our place in it. FQ: What do you hope a reader of another faith might get out of your book? I would hope a reader of another faith would enjoy visiting Italy (Rome, Orvieto, Milan, Lake Como, Venice, Bologna, Florence, Siena) as well as the journey through time, meeting historical figures who have so impacted Western values. Also, the central premise of Pilgrimage is a universal one – a mother's grief. Agnostic readers have commented to me that they saw Madeleine's journey of healing as a metaphor for the human condition. FQ: Your main character accepts religious miracles, such as receiving the stigmata, with little doubt in their veracity. How do you view religious miracles? Throughout time there have been fraudulent claims and bogus relics. Even so, I believe in miracles that have been historically documented with eyewitness accounts. An interesting present day stigmatic is Padre Pio, who died in the last few years. His stigmata are well documented. FQ: The characters in your book hold very definite values. For example, Madeleine tries to dissuade her son from living out of wedlock with his girlfriend. Are you hoping to embark certain lessons in values to your readership? Every author's values are present in his or her work, and I am no exception, but of course, each of us must make our own choices and respect one another's chosen path. As an author, I must tell the truth as I see it. FQ: Your book also serves as a great travelogue. Could readers use Pilgrimage to find the churches, restaurants and hotels mentioned in the book? All of the churches, restaurants and hotels are factual and welcoming to visitors and guests.Pilgrimage arose out of my travel journals and we often return to these beloved places in Italy. FQ: Can you give readers a preview of what they can expect in the second book of the trilogy, Offerings? In Offerings we travel again with Jack and Madeleine, this time through France in search of an expert surgeon to perform a lifesaving procedure. We also see France through the eyes of the agnostic Doctor DuPres. Themes involve the nature of love, the power of trust, and the question of belief. We visit Lourdes, Rocamadour, Vence, Lèrins, Lyons, Vézeley, Reims, and of course, Paris. The third in the trilogy, Inheritance, set in England, will be released in the next six months. To learn more about Pilgrimage please visit our website and read the review at: Feathered Quill Book Reviews. Today was a busy day at Feathered Quill Book Reviews. Several new reviews were posted. Please check them out - there are some great books in several different genres. Today we're sitting down to talk with Paul Kiritsis, author of Fifty Confessions. FQ: Has writing always been a part of your life? When did you decide to write books for publication? It has been for the last ten years or so. Writing is a very personal process and quite therapeutic. Without doubt, it is an extension of me. I sometimes feel like I’m communing with the unconscious part of my personality that seeks constant reassurance and to a degree, atonement. I’ve been writing on and off since my teenage years though I only started to take it seriously the last five. Origin: Poems From The Crack Of Dawn was my first book and I had formulated the concept for that through active visualization in 2004. Well to be honest, I was quite hesitant in publishing them. The first draft of this work was even more graphic and taboo. I had some interesting feedback from individuals who read the book before its publication. Some recommended I curb the visuals and language; others said I should leave it unchanged, primarily because it was the way I was feeling at the time. As you understand, changing too much would somehow detract from the trajectory of social commentary and the powerful rhetorical points I was trying to make. Only a few poems didn’t make the final cut. I've always been a very open and honest person. Writing is soul art and soul art should be shared, registered in our collective consciousness and remembered from time to time, regardless of content. I only hope that publishing them for the whole world to see isn't something I'll come to regret in the near future. FQ: Do you have any projects in the works? Yes I do. I am currently working on my first non-fiction book; a travel memoir based on my incredible experiences in Greece, the ancient land of my forefathers. Much of the folklore and legend explicated in this book are not to be found anywhere else. I am working under the rough title of Shades of Aphrodite. It should be out by early next year. FQ: Considering that these poems are a reflection of a serious health-related journey, how are you feeling these days? How has the tone of your poetry changed as your health has evolved? Indeed, it is. Human beings are incredibly resilient beings. The reserves of stoicism and resolve tapped into by people in the face of adversity, especially those suffering mystery ailments, is not only commendable but venerable. Providing that whatever ails you isn’t terminal, you eventually learn to live and manage chronic illness. Sometimes you aren’t offered a choice. You just have to deal ith it. The tone of my poems has definitely changed through time. I wrote a lot about love, infatuation and romance in my earlier works but now everything seems to come out more hard-edged, visceral and sexually-charged. The evolution or devolution, dare I say, seems to be rather baffling! FQ: Do you have any advice for those who are facing a similar challenge of undiagnosed health problems or those brushed off by medical doctors? Yes. Human life is sacred, and the sick should never give up in their quest for better health or recovery. Always seek a second, third, fourth and even fifth opinion. Do as much research as you can on the internet. Seek doctors or specialists who are top of the range in their respective fields. Go overseas if you have to. There are alternative options that one should try should Western medicine fail to garner any results. As of late, many people are taking the holistic approach back to health and wellbeing through treatments such as Chinese medicine, energy and ozone therapy. Many of these methods are relatively safe and non-invasive. There is now substantial evidence which support the hypothesis that chronic illnesses of unknown cause can be cured through such means. Most importantly, don’t lose hope. So often it seems to be the greatest and most formidable weapon we have against any ancient enemy. To learn more about Fifty Confessions, please read the review at: Feathered Quill Book Reviews. FREE Book Contest for June! We are excited to announce that the book we are giving away this month is The Little Pot by Dawn Stephens. This is an adorable book that "...teaches young children about the value of patience and the loving omniscience of their Creator." Read the interview with the author below or check out the review on our site at: Feathered Quill Book Reviews. Entering the contest is quick and easy. Just visit our site, follow the link to the "Free Book" page, enter your name/email and presto, you're entered. While on our site, please check out all the great books we've reviewed - there's sure to be a book that will interest you. Our interview today is with Dawn Stephens, author of The Little Pot. FQ: Your book deals with an important topic that parents often struggle with. What made you decide to write a book to help them share God's love and purpose for each child? The book was a result of my own struggle with this issue. Growing up, I always thought it was so important to know what I wanted to be. We put so much pressure on kids when we ask them –“What do you want to be when you grow up?” As if they have to choose one specific thing to be and that thing will fill them with joy. As an adult, I carried that idea and felt I had to have a purpose in what I was. I wrote the story as I struggled with discovering what God’s purpose was for me. I’ve had several jobs and careers in my life, and each time I made a change I was left wondering what was the purpose of that? FQ: The potter/pot are a beautiful analogy for The Creator/child. Did you consider other characters (farmer/crops, baker/bread, etc.) first or was the potter/pot your first idea? I did think about a shepherd and sheep. I wanted the book to draw people to a biblical reference. But the potter seemed a better fit for me because my identity comes from being continually emptied and filled in life. I also love the idea that I could take a physical object(the little pot) and bring it to life in a child’s imagination. FQ: Little Pot has a couple of false starts on his path to learning his purpose (document holder, piggy bank). Do you feel it's important to convey to children that they too may have false starts in their life? Not so much “false starts”- but tasks that have purpose in preparing them for God’s plan. The potter is never wrong for giving Little Pot those starts. It is Little Pot who doesn’t quite see them as it should. Every experience in life teaches us something. The paper pot represents that we seek wisdom, which in itself is not a bad thing, we all need it. But if we only focus on how smart we are – and not in how we help others, it isn’t doing us any good. The coin pot represents that we seek riches. There is nothing wrong with being rich, but if it is only to glorify ourselves than we have missed the purpose in “holding” the treasures God gives us. The flower pot represents beauty. We all seek the idea of being beautiful and attractive also. Each start that Little Pot has in the story is there to represent the things that we use to help us find happiness and purpose in life. We all need to understand, however, that our happiness comes from bearing fruit which means to show love, joy, patience, kindness, etc. FQ: In the story, we never see more than the hands of the potter. I found this very profound and respectful. Was it a hard decision not to show the rest of the potter? I’m smiling that you found that profound. The real reason is because I am more comfortable at drawing hands and not so much at drawing the rest of the body. In art classes whenever I had to draw the human body, I always chose the hands. It was easier for me. Also, I visualized the potter from the perspective of Little Pot. Hands seemed to be what it would find most comforting and allowed me to leave more of a mystery to who the potter really is. A mystery that I hope the reader will seek and discover. FQ: The pot is very simple in design yet so expressive. Tell us a little about the creative process for illustrating The Little Pot. My first renditions of Little Pot were with a photo of a flower pot and cartoon eyes. Everyone who saw it, however, said it reminded them of “clip art.” Those first designs were even simpler than ones you see. I wanted to draw pictures that simplified the concept of the story and would not further complicate it. I originally had the piggy bank and the paper vessel being the same shape as Little Pot. Then I felt that I could add more to the story by giving them an identity of their own. It also helps the reader identify with how we continually compare ourselves to others to find satisfaction. FQ: You mention that you wrote The Little Pot as you tried to learn God's plan for yourself. Do you feel that the completion of the book and sharing it with others is part of God's plan? When I first wrote the story I thought I would never find an ending. I didn’t know what kind of pot Little Pot could become that would make it eternally happy. I really never thought it would become a book, because I thought we went through life being filled and emptied and it never ended. I always knew that God had a purpose, but I wasn’t confident that I could really discover it. I was just too focused on myself. Once I discovered Little Pot was a Fruit Pot and that I needed to focus on bearing fruit- everything seemed to fit for me. It is ironic to me how the book, itself, is a way for me to bear fruit. I have found purpose in my own life through it. Not in the fact that I am now a published illustrator and author. That is just like having another job. But the true purpose is that I am able to share something with others that gives them joy, helps them understand patience, and even introduces them to a loving potter. Thanks for allowing me to share it with your readers too. To learn more about The Little Pot, please read the review at: Feathered Quill Book Reviews. Congratulations to Lynn Arnold of Marlborough, NH. 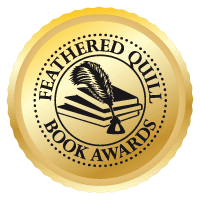 Lynn was the winner of Feathered Quill's May book contest. She won a signed copy of the book, When The Cows Got Loose. Congratulations Lynn! Today we're excited to talk with Roland Hughes, author of Infinite Exposure. FQ: With your background in VMS platforms and writing technical books for various computer technologies, how/why did you make the jump to writing a novel? Blame it on an interview much like this one. Literally. About a year or two ago I was being interviewed and received the question "Where do you see IT in 5-10 years?" That's a standard question a lot of interviewers toss out when they are talking about technical things. I guess they weren't really prepared to receive the answer "The off-shoring of IT jobs will lead to the largest terrorist strike the free world has ever seen, and ultimately nuclear war." The interviewer was quite stunned since they expected me to do like most IT vendors do and pitch some upcoming product. They didn't know that in my youth I used to do work which required clearance and still had quite a few friends working on systems requiring low-astronomical clearance levels. Even though I no longer do that kind of work, I still design systems which can survive having the primary location being taken out by either a nuclear strike or a 9/11 style plane crash, without missing a single transaction or slowing down for more than 10 minutes. Every publicly traded corporation should be required to have such a system, virtually none of them do, as 9/11, Katrina and a host of other disasters have shown. FQ: Infinite Exposure deals with off-shore IT storage and how that practice could lead to a terrorist plot. Even with your technical background, did you have to research the various aspects of the plot? No. No, my career requires that I know such things off the top of my head, much like a roofer can glance at your house and know how many square of shingles to order without ever getting out a tape measure. It wasn't a surprise to me that a terrorist attack happened in India, or that it seem quite well coordinated. Terrorists play a game of "follow the money". when their ability to get operatives into this country from Pakistan and the other "middle east" countries dried up, they followed the IT market to another country where there were extremists ripe for recruitment. FQ: When reading Infinite Exposure I was first struck by the character of Nedim, a “good Muslim." I believe it was the first time I'd read about a possible terrorist from his point of view and it was quite interesting. Was there a specific reason why you wrote sections of the story from his point of view? Yes. There has been too great of a tendency in the media to focus on "extremists" and "religious fanatics willing to die for their cause." The media focuses on them because what they do creates other headlines. Until the media understands that those people are nothing more than pawns in this game, we won't have an affective terrorism policy in this country or around the world. The really dangerous ones are the ones who aren't terrorists, just facilitators. Eliminate them and you eliminate 98% of all terrorism. Yes, there will still be extremists ready to die for a cause, but they won't have anyone to fund, teach or coordinate that death. The character of Nedim was actually loosely based on a real life character. I'm sure some of those reading world news events had memories of a similar story. FQ: Margaret, the First Global Bank employee was my favorite character. I enjoyed reading about a strong woman with a rather bumbling male boss. She's not the only strong female character in your book. Had you made a decision early on to have strong female characters? Not really, or at least not consciously. While this may sound chauvinistic, I don't really respect or find interesting women that have as much backbone as a soap bubble. Men like that, on the other hand, are utterly hilarious. You know exactly how they are going to screw up a task before they are even assigned it. Sadly, most of them tend to hold MBAs and work in upper management. Believe it or not, Margaret's boss was based (far less loosely than Nedim) on managers I've encountered in real life. FQ: Using off-shore companies to store data seems to be a growing problem. What are your thoughts about the practice? Like all really bad practices, it won't be stopped until there is a massive disaster. We have lived through the Clinton era bank deregulation which gave us (in large part) the current mortgage fiasco. Who could forget the DOT COM (DOT BOMB) Clinton era Ponzi scam unleashed during an election campaign? There have been dozens of other large scale debacles (the Carter grain embargo of Russia?) which were only dealt with after the fact. We do not have a pro-active government, we have a fill-my-campaign-war-chest based government that doesn't bite the hand feeding it unless the body count gets really high. Take a good look at the credit card companies. They have been running amok for decades. When did the government finally take action? This week. FQ: Do you see the events of Infinite Exposure as merely science fiction or a wake-up call? I expect them to actually happen in less than five years. The actual location may not be India as several large financial institutions have moved their data centers to other countries with even lower paid workers, but everything is in play. Sadly, if the government would wind down most of the banks we've given TARP money to, the bulk of the off-shore data centers would be eliminated and the world would be shielded from this problem. I don't expect anyone from "The Fed" to read this book and making paying back of TARP contingent upon having all of their data centers located in a NATO country where security background checks can be accurately carried out. 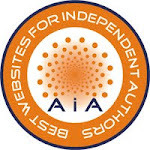 To learn more about Infinite Exposure , please read the review at: Feathered Quill Book Reviews.